IS RE-PROMULGATION OF ORDINANCES PROBLEMATIC WITH REGARDS TO SEPARATION OF POWERS? This article was written by Wafa Jallu, a student of OP Jindal Global University. 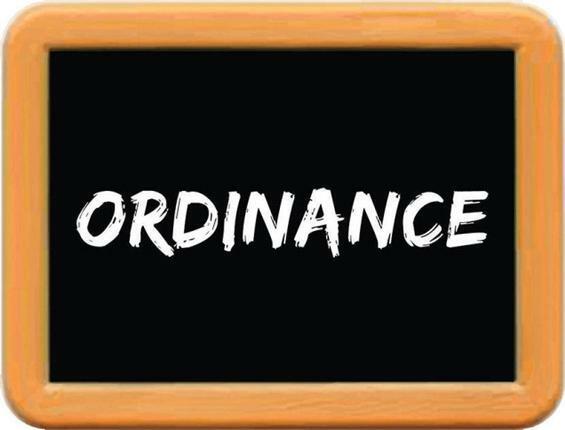 An ordinance is a temporary law that is introduced by the President or Governor, when both Houses of Parliament or State Legislature are on recess and cannot pass the law by the normal legislative process. Article 123 of the Constitution of India gives the President the power to promulgate an ordinance related to Union matters. A Governor has similar powers as per Article 213 with respect to state matters. Once an ordinance has been passed, the Constitution gives it the same status as that of an Act passed by the legislature. A challenge to the legislative validity of the National Security Ordinance was made in A.K Roy v. Union of India. The petitioners contended that the power to promulgate an ordinance is destructive of parliamentary democracy and pleaded that the scope of this power ought to be defined. They contended that since it is passed by the President, it is not legislative in nature and hence is not a law. Citing Chapter 3 and Chapter 4 of the Constitution which read “Legislative powers of President” and “Legislative powers of Governor”,the court held that in principle, an ordinance has the same legislative legitimacy as a law made by the legislature. Both are equally enforceable as well as subject to limitations of the Constitution. One such limitation on an ordinance is that it is of a temporary nature and expires within 6 weeks of it passing, unless it is either approved and turned into a law or disapproved before the expiration of 6 weeks. An ordinance is therefore also capable of curbing fundamental rights. An ordinance may be passed by the President under Article 123 or by the Governor under Article 213 only when both Houses of Parliament or the Legislative Assembly of the State are not in session when satisfied that circumstances exist which render it necessary to take immediate action. This satisfaction has to be on the advice of the Cabinet. Furthermore, an ordinance cannot be of a nature that it is incapable of being turned into a law. In other words, what the Parliament cannot do by enacting a law, the President cannot do by passing an ordinance. It has been observed in the past as well as in current times that on several occasions the Government, at both the State and Union level, because of various reasons, prefers to promulgate and re-promulgate ordinances instead of making laws by presenting a bill in the Parliament of Legislative Assembly. While no case has gone to the Supreme Court regarding re-promulgation of Ordinance by the Union until 2017, notice must first be taken of the Supreme Court judgement holding that successive re-promulgation of Ordinances with the same text by the Governor of Bihar, without any attempt to get the Bills passed by the State Assembly while it was in session, coupled with the habitual practice of proroguing the Assembly merely in order to enable the Governor to re-promulgate an Ordinance in a routine manner would be a fraud on the Constitution, and the Ordinances so promulgated is liable to be struck down. Justice Bhagwati in this case, on behalf of the Constitutional Bench of the Supreme Court stated that promulgation of an ordinance is an emergency provision given by the Constitution to the executive and that if an ordinance is to be re-promulgated, it needs to be presented before the legislation to get approval before it can be re- promulgated. The Constitutional bench in the D.C Wadhwa case held that if the executive is given the power of re-promulgation without submitting to the voice of the legislature, it would amount to taking away the law making power of the legislature. If the Governor re-promulgates ordinances from time to time, it is seen as unconstitutional and it disregards the limitations put by the Constitution. The Governor in this case had promulgated 256 ordinances from 1967 to 1981, out of which approximately 69 were re- promulgated for as long as 14 years. Under Prime Minister Narendra Modi’s NDA-II government, there have been a total of 28 ordinances promulgated by President Pranab Mukherjee since 2014. These include Telecom Regulatory Authority of India (Amendment) Ordinance, 2014, Right to Fair Compensation and Transparency In Land Acquisition, Rehabilitation and Resettlement (Amendment) Ordinance, 2014, Citizenship Amendment Ordinance, 2015, Payment of Wages (Amendment) Ordinance, 2016 and Specified Bank Notes (Cessation of Liabilities) Ordinance,2016. The Specific Bank Notes (Cessation of Liabilities) Ordinance 2016 was what caused demonetization in India. Many of these ordinances have been re-promulgated as many as three times by the President as their validity expired without the Parliament voting on them. The Enemy Property (Amendment and Validation) Fifth Ordinance, 2016 for example has been re-promulgated 5 times as indicated by the name itself as it could not be considered in the Rajya Sabha. This ordinance was promulgated to amend an Act made 48 years ago to stop claims of succession and transfer of property owned by those individuals who moved to Pakistan and China after the wars. It also puts a bar on the civil courts to admit matters related to such properties. The President in January 2016 stated that the “ordinance route cannot be taken, should not be taken for normal legislation”. This clearly indicated that a normal legislation process should be used to pass law instead of the now common practice of promulgating ordinances and re-promulgating old ones that Parliament could not vote on them during the session. The Supreme Court in the case of Krishna Kumar Singh and Ors. v. State of Bihar and Ors. held that re-promulgation of ordinances is unconstitutional in nature. Justice Dr. D.Y Chandrachud on behalf of the majority stated that “Re-promulgation of ordinances is constitutionally impermissible since it represents an effort to overreach the legislative body which is a primary source of law making authority in parliamentary democracies. Re-promulgation defeats the constitutional scheme under which a limited power to frame ordinances has been conferred upon the President and Governors.” He further ruled that an ordinance should only be made under two conditions- (i) when the houses are not in session and (ii) when the President or Governor thinks the matter requires immediate legislative attention. Furthermore, it was held there is an obligation on the government to present the ordinance before the legislative body once reassembly of the same happens. Therefore, it can be seen on analysis of relevant judgements and articles of the Constitution that the practice by governments both at the Centre and State levels of opting for re-promulgating ordinances over following the legislative processes for the purpose of making laws is upsetting the separation of powers as provided by the Constitution and hence this method should not be adopted, as it is, as rightly said by Justice Chandrachud, a fraud on the Constitution of India.